It’s understandable if you don’t know Darcy Lewis. A side character in the Marvel Cinematic Universe, she’s present in just the first two Thor movies, a young political science student, looking to get her last college credits by working an internship with astrophysicist Jane Foster. She’s the person driving the van when the crew encounters Thor for the first time and she spends a great deal of that film running around yelling about her iPod being stolen by super secret organization SHIELD. 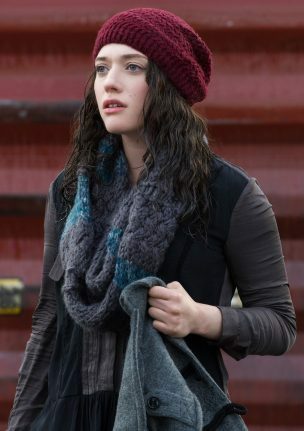 Played by Kat Denning with wild, millennial abandon and open thirst for the titular hero, she probably only has about 30 minutes of screen time total across both movies. When the cinematic universe retired Jane Foster, Darcy Lewis was similarly put out into the cold. There are over 14,900 pieces of fanfiction featuring Darcy Lewis on Archive of Our Own, one of the largest archives for derivative fiction. So why does Darcy Lewis persist? She sounds magical. Relatable. Human. In most pieces of fiction, she’s written like this. A smart, savvy woman who knows what she wants and who can run with the big dogs even though she would never be like them. In walls of timber, I will burn you down by yanak324, the author describes her as such: “There is a whole lot of oddity around them and while Darcy is nowhere near average, she seems so blase about everything that it’s easy to forget that she’s the rarity around here – she’s the human.” Humanity, in all of the madness and world ending strife of the MCU. She’s the human connection in the series, where even the humans are superpowered – (see Sam Wilson and his wings, or Pepper Potts and her explosive virus). She is, in a lot of ways, a functional self insert, the least offensive Mary Sue in popular media because instead of her being good at everything she’s just normal. Secondarily, Darcy Lewis fits cleanly into a very traditional auspice of fanfiction, domestic fic. Domestic fics are tied directly to their mundanity. 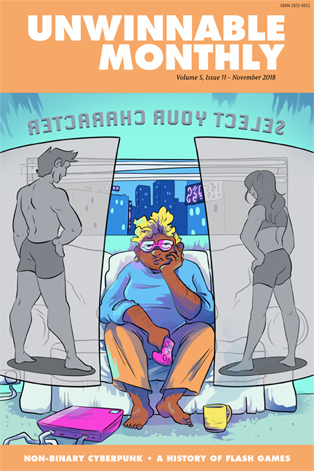 It’s less about the high stakes world of world-ending blue sky lasers and more about two partners going out for a picnic, picking out a lovely set of drapes, sorting through interpersonal trauma with quiet decency and respect. Darcy Lewis, Queen Bee of mundanity, is precisely the perfect way to transport deeply fish out of water characters into a standard of domesticity. She’s paired frequently with characters like Loki, but also with Heimdall, Bucky Barnes (the Winter Soldier) and three-way relationships with Eddie Brock and the Venom symbiote. To each of these non-traditional relationships, you have the balance of a girl frequently written as being Midwestern, a college girl who just wants all of the normal things in life, and happens to be brought into the screwball antics of the extended Marvel universe. She’s written into the universe in two major ways –- one she’s written as being related to a known character, mostly Tony Stark, or she’s just a scientist wrangler for the Avengers. “Well, I mean, I’m not an Avenger, myself. More like Avenger support staff. Mostly, I just deal with Bruce, Tony and Jane,” she explained in Indominus No, Raptor Yes by nobutsiriuslywhat. The second one has some variation – she’s frequently called upon to be a kind of youth translator for our out of time WWII soldiers, a pop culture machine that sits them down on communal couches in the Avengers headquarters and makes them watch Harry Potter and Ghostbusters. It’s because of these traits that someone like Darcy Lewis has staying power in a fandom that would otherwise have eventually cast her aside. She’s human, sarcastic, a bit silly, quick to say what’s on her mind – she’s the fandom in a role inside of a major motion picture franchise, and all of those traits combine together into a role that stands out. It’s not really a surprise that Darcy Lewis is such a used character in MCU fandom, it’s more of a surprise that the Marvel franchise hasn’t picked up on it. She may be the “Taser Queen” of AO3, but she has virtually no foothold in canon media. Aside from her maybe 30 minutes of screentime in the first two Thor movies, she’s not present in any of the related properties – even in the big world-ending nonsense of Avengers: Infinity War, she’s not even a background character. Though the franchise has chosen to keep characters from Jane Fosters retinue – see Eric Selvig who was prominently featured in the first Avengers movie – Darcy Lewis is allowed to languish in obscurity, becoming a figure almost entirely created and polished in fandom alone.